Land Rover has unveiled a new Discovery XXV Special Edition as a celebration of the 25th anniversary year of the original launch of its versatile family SUV. spacious and user-friendly interiors, unflinching capability and extreme versatility made it an instant hit. With the release of each new generation, the Land Rover Discovery has cemented its position as the most capable, versatile SUV in the world. Due to its formidable array of innovative and award-winning technologies, from Terrain Response to Hill Descent Control, the Discovery is as comfortable taking on everyday journeys as it is tackling the world's harshest terrain - as numerous intercontinental expeditions have proved. Over its 25 years it has been chosen as the explorer's choice to take on challenges and adventures; Sir Ranulph Fiennes used an original Discovery in his exhibition to discover the Lost City of Ubar, while the Discovery 3 was used on the record holding London-Cape Town drive in 2013. Discovery models have also been used in Land Rover's own famous G4 Challenge and Camel Trophy. The XXV special edition is based on the existing HSE Luxury specification and has been built to commemorate 25 years of Land Rover's iconic family SUV. The special edition vehicle has a unique interior colourway, distinctive external badging and a sophisticated and premium interior lined with Windsor leather. 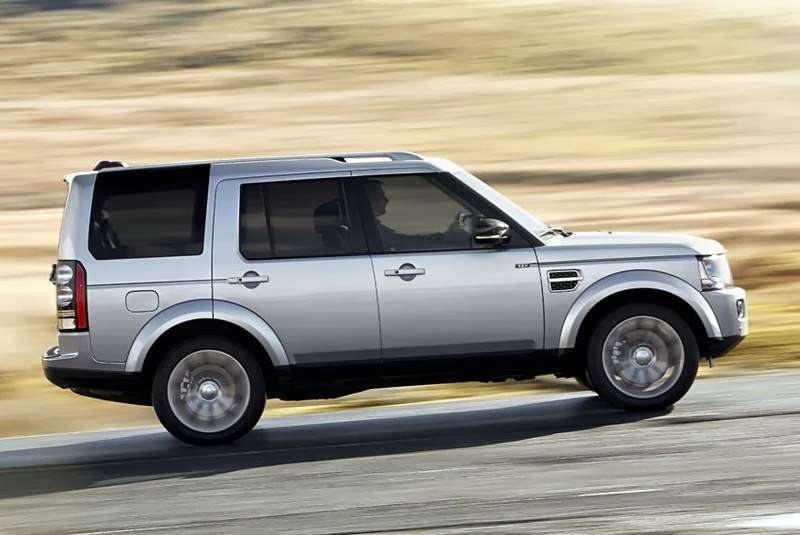 "Since its inception the Land Rover Discovery has been pivotal to the success of the brand and has now become an iconic design in its own right. Discovery has led the way in terms of innovation, featuring technologies such as Terrain Response, which made off-roading much more accessible. The Discovery XXV Special Edition is the ultimate in sophisticated versatility and a fitting tribute to the legendary status of this iconic Land Rover," said Phil Popham, Group Marketing Director, Jaguar Land Rover. Available in causeway grey, it features narvik black grille surrounds and mirror caps, and dark atlas features on the grille and fender vents. Silver full-length roof rails, body-coloured handles and a stainless steel bumper accessory tread plate complement the exterior. Also featuring distinctive XXV badging on the front door and tailgate, the special edition is fitted with newly designed 20-inch five-split-spoke forged alloy wheels in a light polished-silver finish. The XXV Special Edition builds on the Discovery's HSE Luxury specification, to create a sophisticated and premium interior. Features such as the fascia, the instrument panel binnacle and door top rolls are generously lined with Windsor leather. The XXV will feature a unique interior colour way in Cirrus. Additional luxurious highlights include twist pile carpet mats and a leather-wrapped wooden steering wheel, while subtle XXV embossing throughout adds to the high-quality British workmanship of the XXV Special Edition.